This is the big nugget for my “Charity Season 2018” submission listings. BUILT. Albany Architecture Through Artists’ Eyes. With this collection of artworks, I hope to add my own “architecture through artists’ eyes” to this nice event. It seems that every competition I enter is reducing the number of accepted artworks, so with that I’m going to hope that the three images I submit for BUILT will receive good success and plenty of enjoyment. Why am I entering this picture in BUILT? Well, I do have this habit of entering at least one distressed image per year into the show, whether it’s the last days of the Coca-Cola artwork on a Schenectady apartment building or the ratty interior of a nearly-razed church. 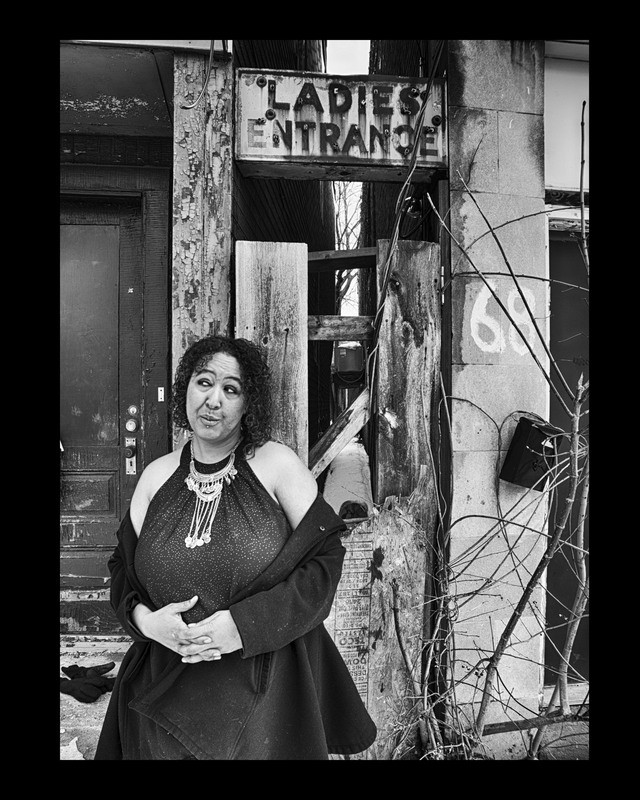 In this case, the spot at 68 North Lake Avenue in Albany – the sign of the incongruous “Ladies Entrance” to a long-forgotten tavern – is perfect for BUILT. All I need to do is frame this sweet photo up, and it’s ready to enter. 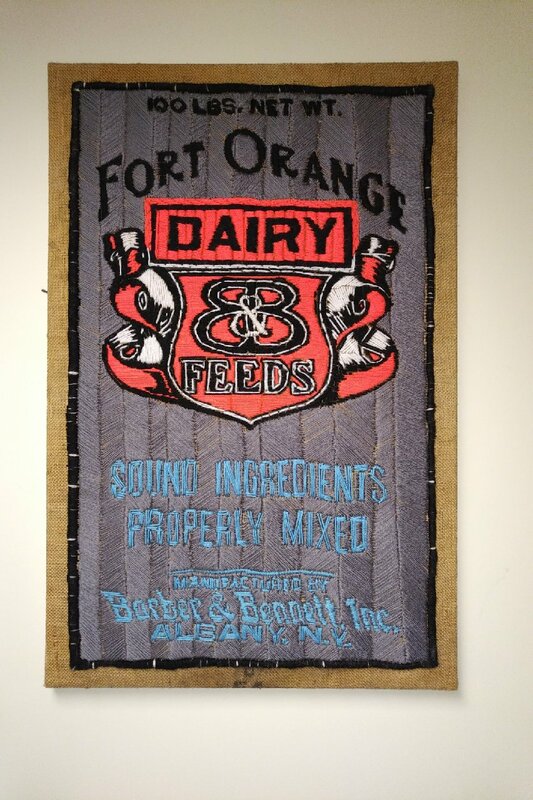 Fort Orange Dairy and Feeds. Created by Chuck Miller, all rights reserved. Now my original idea was to rotate my three “burlap art” projects between Altamont, the Big E and the New York State Fair, with each of my burlaps appearing at all three shows over a three-year period. That could get messed up … ha ha ha … if this piece sells at BUILT. Why am I entering this at BUILT? Well, the Barber & Bennett farm company had its headquarters at the corner of Arch and Church Streets in Albany’s South End. So technically this counts. Jesus Saves. Nikon F100 camera, Nikkor 300mm f/5.6 lens, Revolog Tesla 2 film. Photo by Chuck Miller. My photo of the neon signage outside the Capital City Rescue Mission on the corner of Arch and South Pearl needs some love, and I’m hoping that this picture will claim some success this year at BUILT. I’m sending in my entry fees and application this morning. Hopefully these will be accepted. I think things will work out very well.